ORLANDO, FL, MARCH 2017 —SIMCOM Aviation Training is pleased to announce that they have partnered with PATTY WAGSTAFF AVIATION SAFETY, to provide high quality Upset Prevention and Recovery Training (UPRTA). SIMCOM, through its partnership with PATTY WAGSTAFF AVIATION SAFETY, will now be able to add another layer of safety training for its Customers. Patty Wagstaff Aviation Safety is the physical manifestation of its namesake’s commitment to making pilots more confident at the controls. 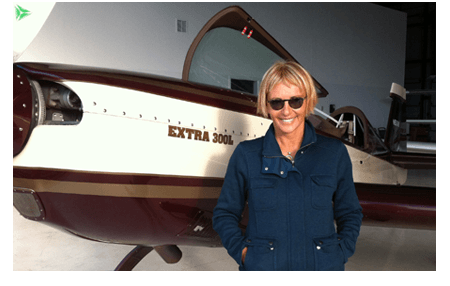 Led by the most celebrated female aerobatic pilot in history, Wagstaff and her team of instructors have walked hundreds of students from around the world through the school’s signature airmanship, confidence and aerobatic competition courses. With headquarters in St Augustine, the training would be conducted at Odyssey Aviation in Kissimmee, FL using the Extra 300L, gold standards of aerobatic training equipment. A privately-owned, comprehensive learning institution, SIMCOM utilizes realistic simulator-based training to provide advanced aviation training services to professional pilots, owner-operators, Part 135 operators and maintenance personnel operating in general aviation, regional, military, government and cargo operations around the world. SIMCOM currently operates 52 simulators representative of a wide range of jet, turboprop and piston powered aircraft. The company is headquartered in Orlando, Florida, where it also operates two training centers and one simulator production facility. Additional training centers are located in Scottsdale, Arizona; and Humberside, United Kingdom.